Mariah Carey Reveals "The Art of Letting Go"
Superstar Mariah Carey has topped the charts for more than two decades. And she's looking to continue that success - with a hotly anticipated new single despite a slew of recent injuries that threatened to bring her career to an end. CNN's Nischelle Turner caught up with Carey at her Manhattan recording studio for late night interview where the diva shared all the highest notes. From her new music, to the changes she's making in her life, to her advice to young music stars and her road to recovery since fracturing her shoulder, Carey reveals all. Nearly 100% recovered from her injuries, Carey says she’s also ready to let go of the pain. Turns out the songstress also let go of longtime manager Randy Jackson, teaming up with Jermaine Dupri, who she’s made many hits with in the past. Billionaire Warren Buffett is backing his son's mission to end world hunger. CNN's Poppy Harlow reports. Son Howard Buffett is a farmer and philanthropist and has seen the ravages of malnourishment first-hand. Now the younger man is armed with three billion dollars from his legendary father to do something about it. "Your goal is to feed the world, frankly," Buffett says. "Well, that's kind of a big goal but it's a goal to shoot for." The proud father says he's happy to help his children make the world a better place. "On my 82nd birthday I doubled the commitment and I wouldn't have done that if I didn't feel terrifically about what they are doing. They're tackling tough things. They could go out and have a hospital wing or do something with a library. They are tacking real problems." Our digital show "New Day Midday" launches this week. It's all about the great moments we bring you everyday, but with a twist. We want you to weigh in on your favorite video/photo/conversation, so tweet us @newday, Facebook, or Instagram. Tell us your comments, good or bad, about a video or great moment that you saw on the show and we'll bring some of them back. 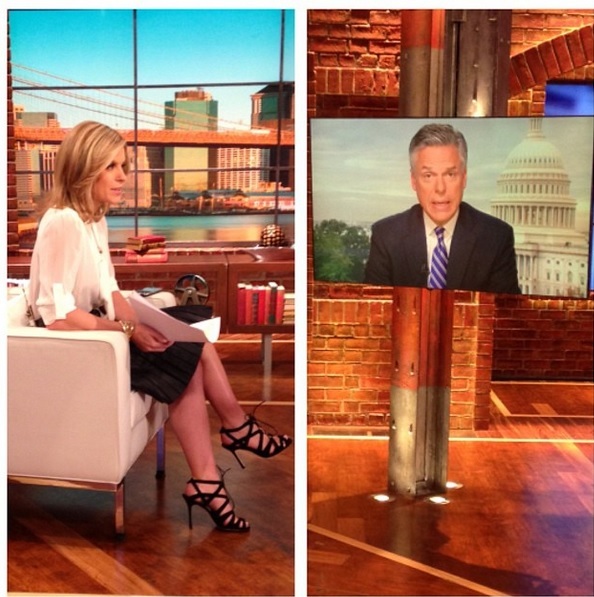 You suggest the hashtag you think should go with the video and let us know #NewDay. You might even hear your comment on the show. High School Football Blowout The Same As Bullying? One high school football team near Forth Worth, Texas, destroyed another 91 to nothing. The father of a play on the losing team claims running up the score was an act of bullying and that the opposing coached should have done something to stop it. The dad has filed a complaint with the school district but the winning coach says his team did nothing wrong and is trying to get ready for the playoffs. The Northwestern basketball coach Chris Collins surprised walk-on James Montgomery by giving him a full scholarship in front of his teammates. Montgomery was overcome with emotions and moments later he shared the news with his mom and sister who were over joyed. See patients and staff members at Dartmouth-Hitchcock Children's Hospital in New Hampshire post an inspiring rendition of Katy Perry's popular song 'Roar.' The hospital made the video for its annual "Chad Hero Half Marathon and Ripcord 5K."